?What If the At Fault Driver is Lying About My Car Accident in Iowa? No matter what type of Iowa truck accident you have experienced, you are likely dealing with significant medical bills and lost wages as a result. If this is the case, you'll want to know your options for seeking financial restitution. Your first step in this journey is to contact an Iowa truck accident lawyer. To fight for damages after an Iowa truck accident, you will have to file a truck accident claim with the responsible insurance company. Once this has been done, the insurance company will send an adjuster to evaluate your damages. Keep in mind that an adjuster works for the insurance company, and generally will not have your best interests in mind. An insurance adjuster who underestimates the value of your claim. An insurance adjuster who delays an investigation in an attempt to frustrate you into accepting their settlement offer. An insurer that uses its own medical professionals to downplay your personal injury, or claim that you had a pre-existing condition. If the insurer refuses to pay you what you deserve, then you may have to pursue compensation in an Iowa truck accident lawsuit. In an Iowa truck accident lawsuit, your lawyer can represent your interests in a formal court of law. In an Iowa truck accident lawsuit, you will have to prove that the defendant's negligence was the cause of your personal injuries. When doing so, you may be able to claim damages from several responsible parties. The trucking or shipping company. The safety director of the company. The manufacturer of the truck. An Iowa truck accident lawyer can investigate your case to determine liability and can represent your interests in an Iowa truck accident lawsuit. This way, you can focus on recovery, instead of dealing with insurance adjusters and tedious settlement negotiations. The Iowa truck accident lawyer team at Walker, Billingsley & Bair work hard to level the field between injured Iowans and insurance companies. To learn more about what our legal team will do to help you protect your Iowa truck injury claim, Contact Us to schedule a no-cost consultation - 888-435-9886. A new Iowa Car Accident Book entitled "The Legal Insider’s Guide to Iowa Car Accidents- 7 Secrets to Not Wreck Your Case" reveals: 6 Things to Know Before Talking to the Insurance Adjustor ; 5 Things to Know Before Hiring an Attorney; 10 Myths about Car Accidents The book is being offered at no cost because since 1997 Iowa personal injury attorney Corey Walker has represented hundreds of Iowans injured in car accidents and has seen too many clients make mistakes before they had the “right” information, resulting in them losing thousands of dollars. 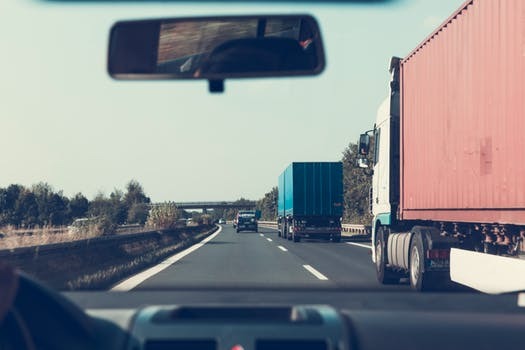 Iowans injured in truck accidents are beginning to realize that the other driver's insurance company is not there to help and it is a good idea to learn about Iowa's car accident laws.